Heading to Walgreen's this week, well if you can make it there tomorrow or Tuesday here is a great coupon for $5 off a $25 purchase!! Remember your total of $25 has to be before taxes and after all manufactures coupons have been taken off!!! Normal exclusions apply so be sure to read the fine print. Click here to print the coupon. Remember it is good only tomorrow and Tuesday, so hurry!! 4 Day Price Break Sale (Wednesday- Saturday ONLY!!) - All below items just .88 each!!! *Coffeemate Flavored Creamers, 16 oz., any variety.....99 Cents. See any other great Shop Rite deals this week?? Let me know if I missed any!! Ahh....the thought of a big, juicy, mouth watering Red Robin burger is making me a bit hungry right now..LOL LOL Well, if you have a Red Robin nearby or have been to one in the past I am sure you know exactly what I am talking about...YUMMY!! All I have to say about that!! So maybe you would consider giving a nice, yummy, delicious burger to a friend, or family member for an upcoming holiday gift?? Pretty hard to wrap a burger you say...no fear, order a gift card for the lucky recipient...... And guess what, you get a reward for yourself for purchasing a $25 gift card to Red Robin. For every $25 gift card you purchase you will receive a $5 Bonus Bucks Card valid from 1/1/09- 2/28/09. Click here to for more info or to place an order via Red Robin's website. -Johnson & Johnson Soft Lotion $5.69, used a $1.00 off coupon from here (Thanks, to The Centsible Sawyer for the coupon link!) . Earned back $5.69 in Extra Bucks!! -Cover Girl Compact $5.99, Earned $5.99 back in Extra Bucks for this purchase! -Aussie Shampoo $2.99, Earned $2.99 back in Extra Bucks. -Bic Soleil Razor $5.99, Used a $3.00 off manufactures coupon in the 11/2 insert, making the price $1.99, Plus, I earned $5.99 back in Extra Bucks!! This was a great money maker!! I also had $15.00 in Extra Bucks to use from last week (From the Duracell battery deal). So after coupons and Extra Bucks, I paid just $1.76 OOP!!! Plus I earned back $20.66 in Extra Bucks!!! If you yet to get to CVS these days run thru today!! Plus I had a 15% off coupon bringing my total down to $60.00, Plus I earned $10 back in Kohl's Cash, valid until 12/6/08. Total was $28.96 including taxes. Total Spent was $34.98 including taxes. Paid with a Gift Card, so $0 OOP!! All in all we had a great Black Friday trip, we ended up getting everything we went for except for one item. Pretty good I think!! So did you venture out shopping yesterday AM? Finding any outsanding deals?? If you wwnt was your trip worth it? I'd love to hear!! Free Sample of Glad Force Flex!! Free sample of Glad Force Flex Trash Bags...Courtesy of Walmart. These bags are supposed to stretch around the trash contained in them....preventing holes, and the Swiss cheese look!! LOL LOL Gotta love trash bags that do not rip, at least I do, anyway!! Here is a great diaper coupon....$2.00 off 1 Big Pack or (2) Jumbo packs of Huggies Diapers. Now all you have to do is hope for a Huggies Sale and you will be in luck!! Click here to print!! Hurry...coupon expires 12/10/08. Also be sure to enter the Huggies Happy Baby Sweepstakes....enter for a chance to win a years worth of diapers, wipes, lotions, and changing pads!! Click here to fill out the entry form. Wishing you and your family a very, very Happy Thanksgiving!! Enjoy your day today!! P.S.- Be sure to come by on Saturday morning......as I plan to post all the Black Friday deals I found...Wish me luck!! Couple of great coupons if you plan to head to Michael's over the long holiday weekend!! Some are good for tomorrow, Friday, and even Saturday!! Choose from 20% off your entire purchase coupons, or 50% off one Regular priced item in the store. Great opportunity to stock up on some Christmas decorations!! Click here to print the coupons!! We usually get up, get dressed, and then head off to Dunkin Donuts for a nice hot cup of Joe....piping hot coffee is just perfect sitting in our hands while standing in line to get into the first store on our list for that morning!! Standing in line is the hysterical part of the day....we get to hear everyone talking about what they will pick up first, how they will spilt up from one another if it gets to crowded, some even crack jokes on how silly we all must look standing in line at 4 am for a deal!! Once the doors open it is like a rush, a thrill......really to see just what is left on the shelf, or display that we had planned on getting!! Sometimes items we had hoped to purchase are there, other times not!! That's how it goes, no biggie! We get what we can then off to the next store we go!! We have our list and fliers in hand......reminding each other what we need to pick up at place #2. We usually hit up about 3-4 stores on Black Friday all before 8:30 am or so. The past few years we have been back home, or wherever we stayed on Thanksgiving night by 9 am. The kiddies are usually just sitting down to breakfast, so we join them and the family members who babysat for us while we were out. Then at about 1pm, when the kiddies take their daily afternoon naps...hubby and I for the one day out of the year...are right there beside them...soon to be out like a light as well!! By the time Black Friday is over, hubby and I can usually say that 90% of our holiday shopping is done....with the exception of a few items and gift cards we still have to pick up!! It's a morning for the two of us to look forward to every year..and to just see what great bargains we can manage to pick up!! 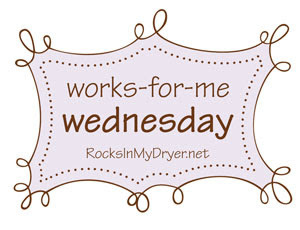 Lots more WFMW posts over at Rocks In My Dryer!!! Free Breakfast on Black Friday until 10:30 AM!! 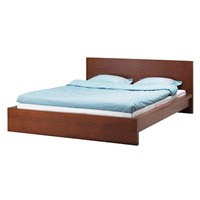 Friday deal of the day is the MALM Queen sized bed frame for $99....That's 1/2 Off!! On Saturday Only get the MALA Easel for just $9.99 (Reg $24.99) *limit two per customer (Paper roll sold separately). Sunday get the MYSA VETE Down Comforter, all sizes included for just $49.99 each!!! (Reg $79.99 - $149) *limit one per customer. Comforters are 100% cotton cover ,down filling ,230 thread count, and white in color. *All items while supplies last....so going early is probably a great idea!! So mesmerized by the big trucks, backhoes, and men clearing our streets of the many leaf piles early yesterday morning!! Many more Wordless Wednesday photo's can be seen here!! The winter tempetures have already arrived where we live...that means it's time to add the lip balm to your purse for the season if you have not already. No lip balm in your purse yet?? 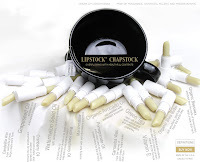 How about a free Lipstock Chapstock sample? Lipstock Chopstock is a cream lip conditoner that will pamper your lips immedietly!! Click here to sign up for your free sample. It says it should arrive in about 7 bussiness days!! Wow, quick receiving samples are the best!! Toys R Us is having a One Day Half-Price Sale tomorrow only (They open at 7 AM). Preview day is today!! Perhaps you can snag a few great deals before Black Friday?? Lots of great toys for 50% off!! To view the entire ad...click here. When we moved into our current home a few years back they had a nice little program to welcome us to our new neighborhood called "The Welcome Wagon". They sent us an address book with some local business name and numbers, along with coupons for local restaurants, car washes, businesses, etc. Well here is a picture of the address book we received almost 3.5 years ago....it's a bit beat up!! Not to mention all the different slips of paper containing friends change of addresses, business cards from contractors or companies we have used while living here, etc. There is also a whole lot of crossing out of old info, pages torn, bent, pages not even attached to the book any longer....just a bit of a mess!! So my dear cousin asked me if I needed a new address book. She had a few new one she did not need....I was so excited!! It does not take much!! LOL LOL I have needed a new one for quite some time, and I was ready to have a nice organized one as well!! So here it is........Ta-da!! Isn't it pretty?? I think so, anyway!! And guess what I wised up with this address book, I wrote down all the names and address's in pencil!! Genius, I know!! This way when someone moves, I can just erase the old and re-write the new in the same spot. No more crossing out, or X-ing out...or adding a slip of paper inside the book!! Curious to see what others have tackled today?? Be sure to head on over to 5 Minutes for Mom to see!! Use this coupon in-store and receive a FREE item (up to $13) at your local Bath & Body Works store with any purchases of $10 or more. This would be great to use for a teachers gift, perhaps?? Coupon expires 12/24/08. You can view their in-store specials here. Get Your Chance to Win Eye-Brightening Mascara!! Cover Girl has just introduced NEW Exact Eyelights Eye-Brightening Mascara. They are so excited about the new product that they would like to give you a chance to win a tube, absolutely free!!! Only 1 entry per email address, contest ends 12/17/08. Simply enter your info here, and if you are a winner you will be notified!! Note: The Cover Girl website also has a cool tool....Curious to see where Cover Girl products are on sale at a local store near you? It's easy to find out, simple click on Special Deals at the top right side of the page and a window will pop up allowing you to enter your zip code!! It's Monday...yippee!! That means a free Redbox rental code!!! Today's code is 2mnc92. Remember this code expires tonight at 11:59 pm. Nothing better than ending a Monday with a great movie to watch!!! To find the nearaest Redbox near you click here. This is too cute!! I can still remember the letters I used to receive from Santa many years ago back when I was a kid!! They just really made Christmas morning Oh so special for my sister and I. Believing...it just has to be the best part of Christmas!! Here is a great printable letter from Santa for your little believers here. You can print as many as you like too!! If you have a gift or 2 to pick up at Victoria's Secret this holiday season you are in luck!! There are some great codes out to make your holiday deals that much sweeter!! Happy Bargain Hunting!! *Spend a $100 and use code SHPFREE at checkout to receive free shipping on your order!! *Get 25% off any single item thru this Wednesday(11/26/08)....use code GET25 at checkout. AC Moore Entire Store Sale!! AC Moore is having an Entire Store Sale for 4 days only starting today thru this Wednesday save 20%-50% off regular prices on every item in every department!! Plus these great Doorbusters TODAY ONLY!! *Thomas & Friends Retirement Sale....50% off a special selection or cars, destination & sets. Free Dr. Pepper 4 Everyone!!! That's right a free 20 oz. Dr. Pepper for everyone for 24 hours, tomorrow Sunday November 23rd only!! This is all thanks to Guns N Roses for releasing their long awaited Chinese Democracy album tomorrow!! The Vice President of Dr. Pepper never thought this day would happen....and since it is...that means a free Dr. Pepper for all to enjoy!! How do you get your free Dr. Pepper coupon? Very simply!! Just click here tomorrow only starting at 12:01 AM until 11:59 PM, and register your information and a Free 20 oz. Dr. Pepper coupon will be mailed to you in 4-6 weeks. The free coupons will expire on February 28, 2009. Click here for a 20% off the list price of any one item at Borders Bookstore. Hurry coupon expires November 29th. This holiday season T.G.I.Friday's would like to offer you a little something for yourself when purchasing either a $25 or $50 gift card now thru January 4th, 2009. With any $25 gift card purchase you will receive a $5 Bonus Bites card and with any $50 gift card purchase you will receive a $10 Bonus Bites card for yourself. Bonus Bites are valid from January 1, 2009 thru June 30, 2009. Don't forget to sign up for their Give Me More Strips Program if you have not already. Earn rewards for your T.G.I.Friday's purchases!! You can purchase T.G.I.Friday's gift card online or at a participating local store near you. If you order online, gift card ship via First Class mail to you for Free!! Toss Them in the Washer!!! Great Deal on Thomas DVD's!!! Have Any of These Left??? Free Medium Pizza at Papa John's!! It's Been A While.......Mr. Fridge. Reguarding ReJAVAnate Bag Winner Jen !!! Expecting a New Baby....Diaper Deal!!! How About a FREE Shopping Bag??? Redbox Free Rental....Good Today ONLY!!! Remember...Free Cup of Joe Tomorrow!! !